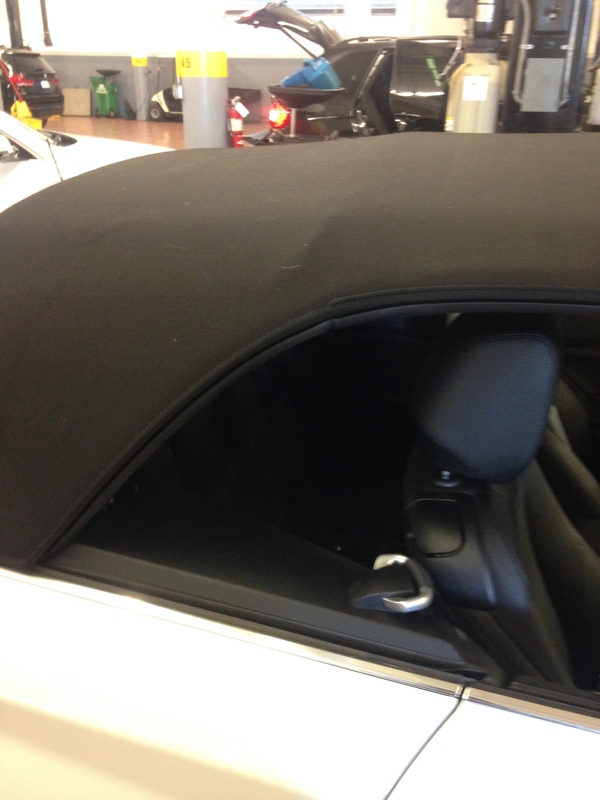 There a new service action on the F23 convertible top,,,,there a problem with the headliner,,,,the string might have to be updated if there is no damage to the headliner. 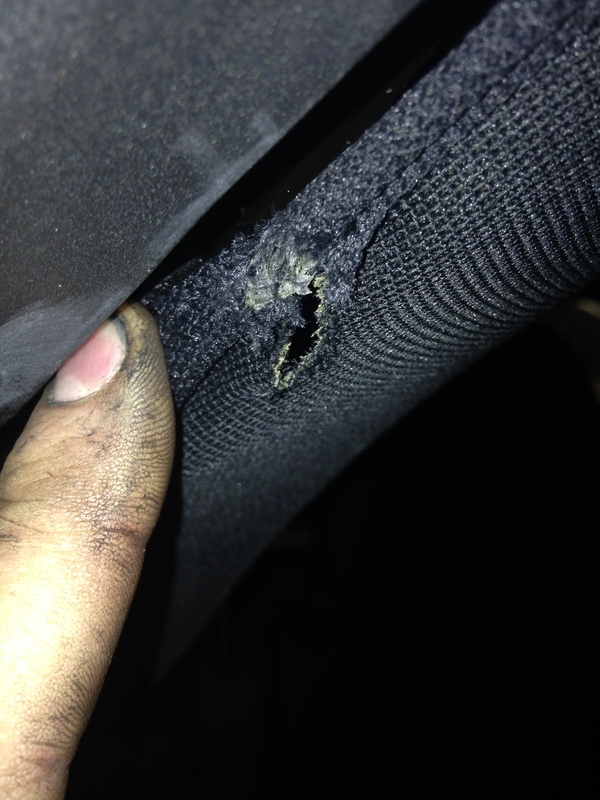 So here the passengers side headliner is damaged at the c pillar,,,,you can see a hole in the headliner,,,,the drivers side was ok. Here my supper clean hands,,,,lol,,,,I know I don’t wear gloves,,,,I started this career before there were gloves,,,,the reason the headliner got damaged is the strings that hold the headliner in place are too tight,,,,they are so tight I can barely get my dirty finger in there to pull back the headliner,,,,,,you know what I will be doing tomorrow at work,,,,,putting in a new headliner for someone and re-string it. 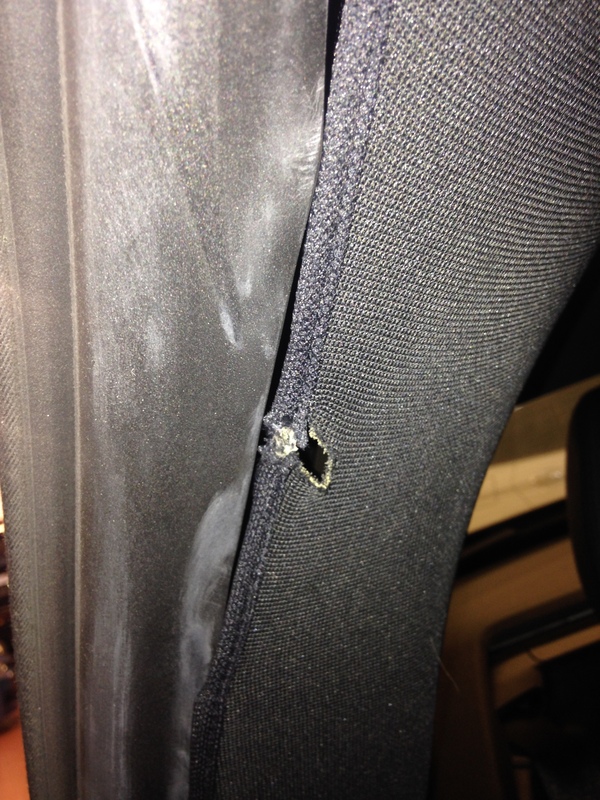 This entry was posted in Uncategorized and tagged convertible top, F23, headliner. Bookmark the permalink.